382 pages | 44 B/W Illus. 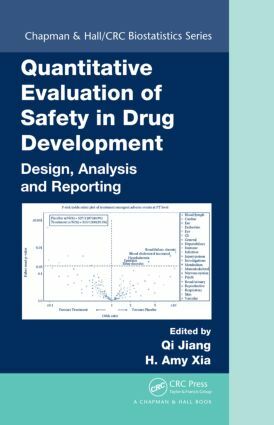 Responding to the increased scrutiny of drug safety in recent years, Quantitative Evaluation of Safety in Drug Development: Design, Analysis and Reporting explains design, monitoring, analysis, and reporting issues for both clinical trials and observational studies in biopharmaceutical product development. It presents the latest statistical methods for drug safety assessment. The book’s three sections focus on study design, safety monitoring, and data evaluation/analysis. The book addresses key challenges across regulatory agencies, industry, and academia. It discusses quantitative approaches to safety evaluation and risk management in drug development, covering Bayesian methods, effective safety graphics, and risk-benefit evaluation. Written by a team of experienced leaders, this book brings the most advanced knowledge and statistical methods of drug safety to the statistical, clinical, and safety community. It shares best practices and stimulates further research and methodology development in the drug safety area. Qi Jiang, PhD, is an executive director of Global Biostatistical Science at Amgen Inc. Dr. Jiang is a fellow of the American Statistical Association, a member of many industry-wide initiatives, and an associate editor of the journal Statistics in Biopharmaceutical Research (SBR). She has over 18 years of clinical trial experience in early and late clinical development phases across a broad spectrum of therapeutic areas. Her research interests include drug safety monitoring and analyses, benefit-risk assessment, clinical meaningfulness, dichotomization, meta-analyses, network meta-analysis, adaptive design, and non-inferiority study design and analyses. H. Amy Xia, PhD, is an executive director of Global Biostatistical Science at Amgen Inc. Dr. Xia is a member of many industry-wide initiatives. In the past 18 years, she has worked on designing, executing, and reporting clinical trials as well as observational studies for developing pharmaceutical and medical device products in a wide range of different disease areas. Her research interests include safety biostatistics, signal detection, Bayesian design, monitoring and analysis of clinical trials, meta-analysis, and adaptive design.